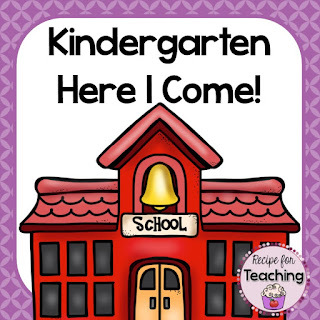 This year will be my 11th year teaching kindergarten! I've said it on this blog before, but one of my favorite things about teaching kindergarten is how much growth they make in one school year. Our kindergarten friends come in at many different levels and the growth from every single one of my students is always so amazing to me. I love seeing the smile on the face of a student when they read a book for the first time. I love when a student who wasn't writing at the beginning of the year brings me a multiple page narrative writing piece. Many times kindergarten is a child's first experience in school. It is definitely a big transition for both students and parents and is definitely a lot different than what kindergarten used to be. No, we do not take naps and color all day! For many, Kindergarten is all day and for some students this is a huge change from a pre-k program that might only be half of the day or a few days of the week. I often hear parents who have little ones coming to kindergarten ask, "What are some ideas that we can do over the summer?" 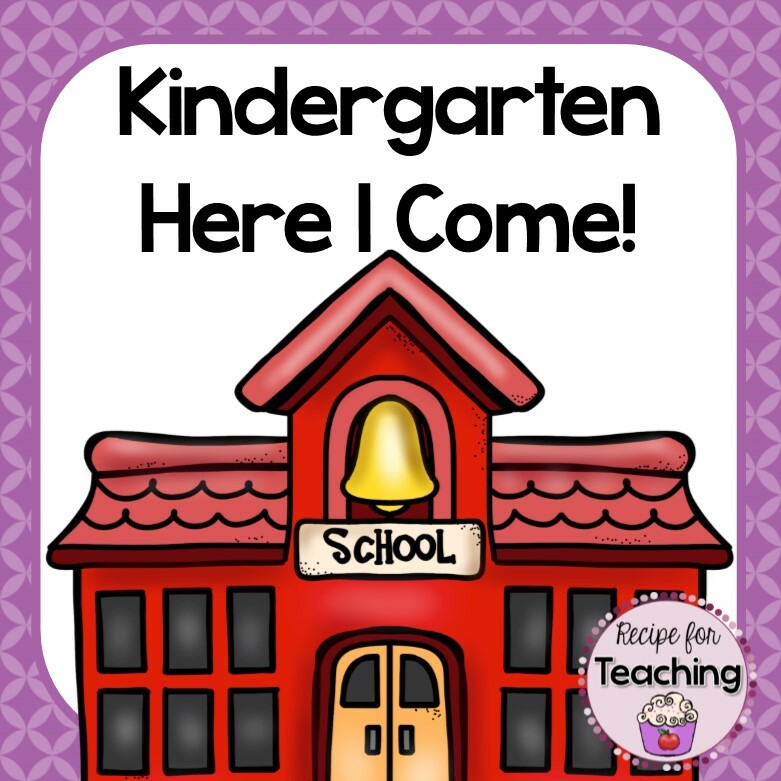 I thought I would put together a list of ideas that would help get your child ready for KINDERGARTEN! Talk with your child every single day. Talk to them about books. Talk to them about things you see in Target, in the grocery store, at the park. Talk to them about new words. We might think something is "over their heads," but in reality their brains are like little sponges and they soak up everything! 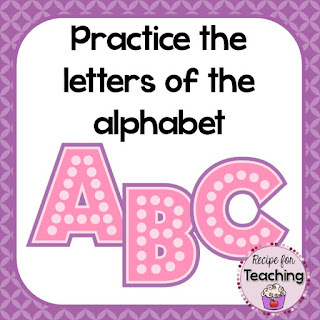 Pick up some alphabet letter magnets at the Dollar Tree and practice identifying letters. Use finger paint or sidewalk chalk to practice writing letters. Sponge write on bricks, the sidewalk, or your driveway by dipping a sponge brush in water and writing letters. Make it FUN! 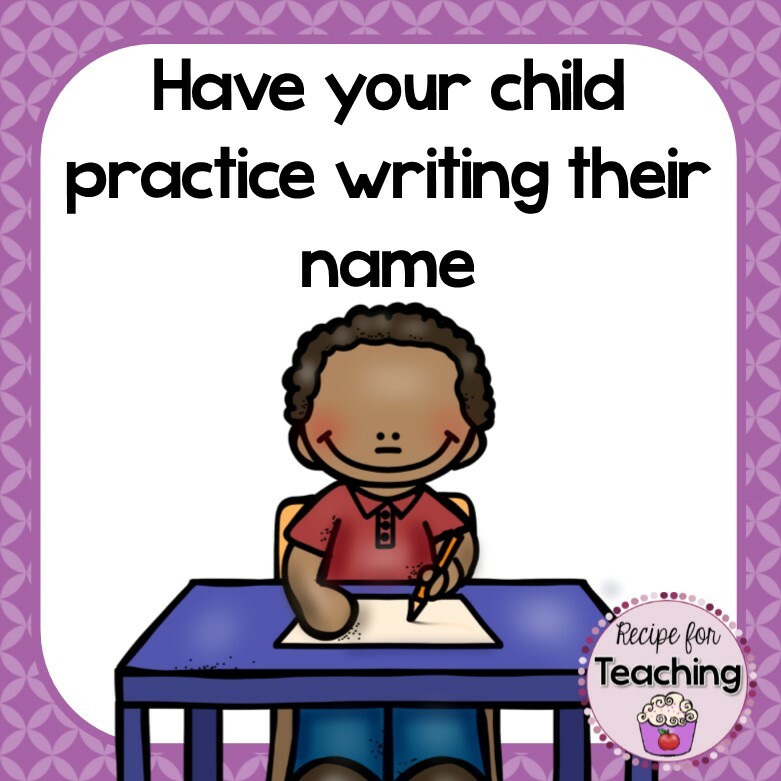 We will write our names on our work in kindergarten so it is very helpful if your child knows how to write their name. 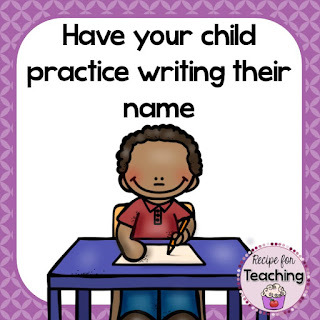 Tell your child the letters in their name and have them tell you the letters. 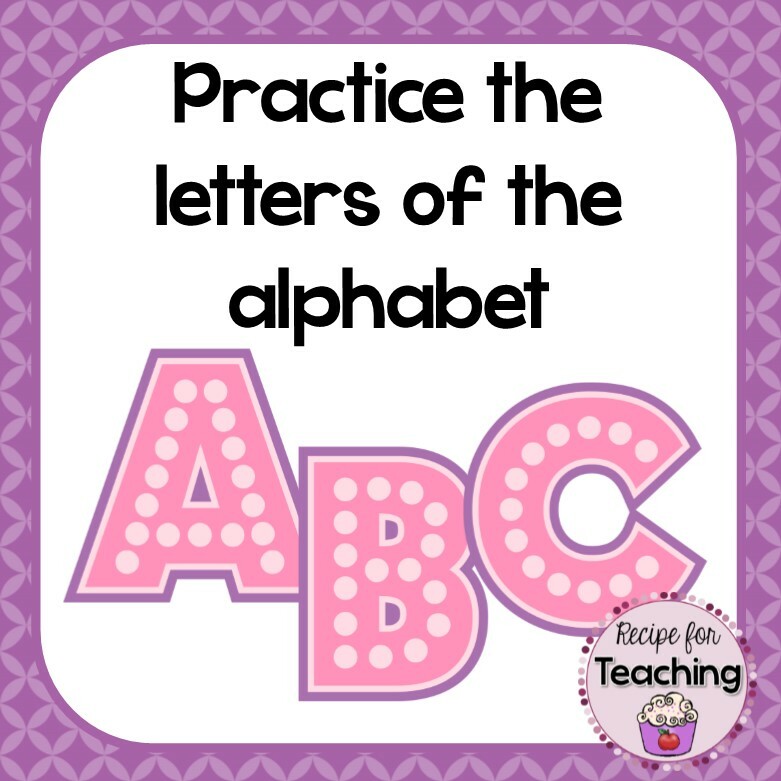 Have your child use an upper case letter at the beginning and the rest of the letters lower case. Count everything with your child! If you are at the store, count the things in your shopping cart or have your child help you count 5 apples into your bag. 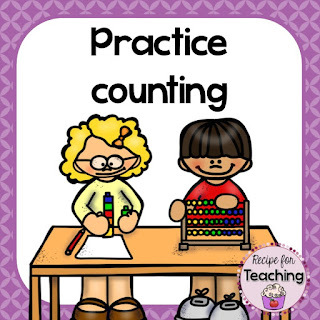 Use objects around the house to practice counting. Beans, pasta, buttons, etc. 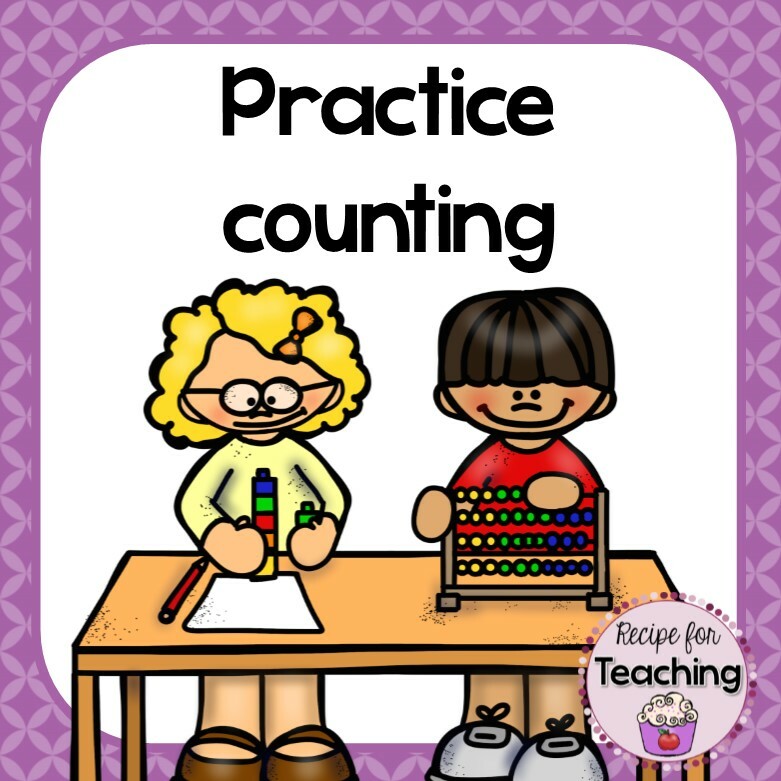 make really great counting tools. Have them count out a number of objects you tell them. To extend it have them show you more or less than a number you tell them. There are many opportunities for counting! 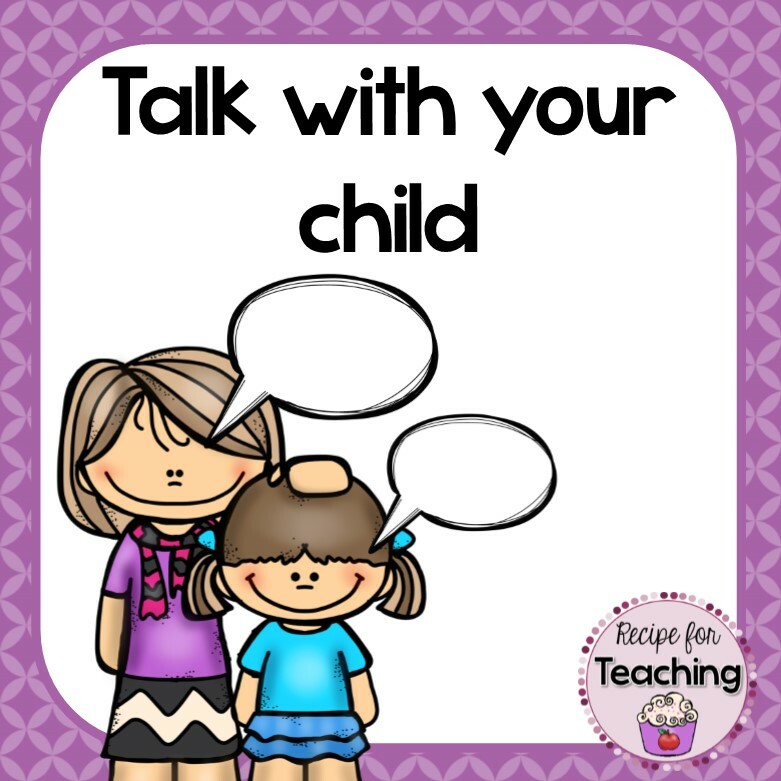 The prior knowledge that your child brings to their classroom is so important. 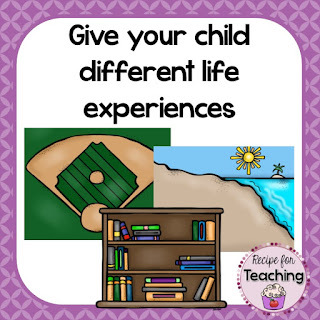 Take them to the library, aquarium, park, zoo, museums, carnivals/fairs, beach, movies, baseball games, etc. Look for free summer activities to take your child to. You might be surprised how many free and fun activities are offered over the summer in your community! 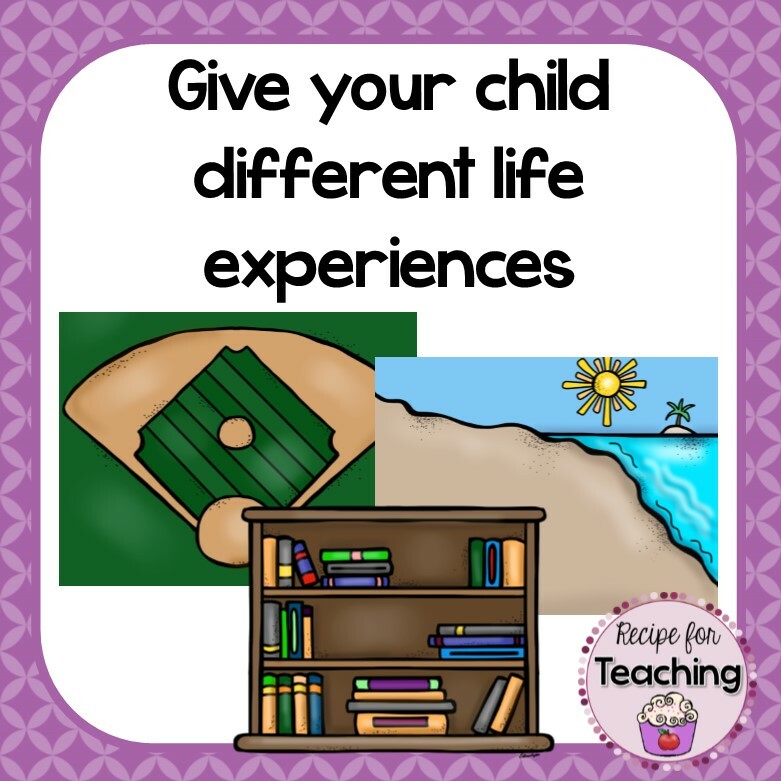 When your child has knowledge of different places and life experiences, it really helps them participate in class discussions. 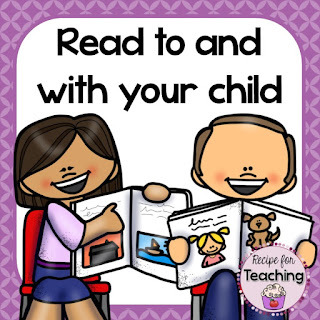 Read to your child and with your child. Your child might have some books memorized if you have read them multiple times so let them participate in the reading fun. Make reading a bedtime story part of your nightly routine. You can get books for free at the library, but if you are looking to build a collection of books for your child at home, yard sales are a great place to find deals on books. Many of my classroom library books came from yard sales! You can often get them for 10 or 25 cents - that's a bargain! 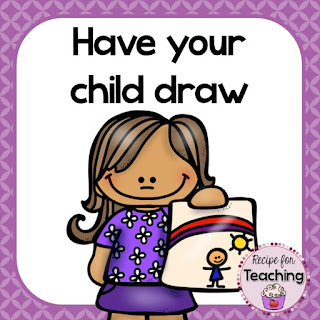 Give your child paper and different art materials such as crayons, markers, colored pencils, paint, etc. to draw. 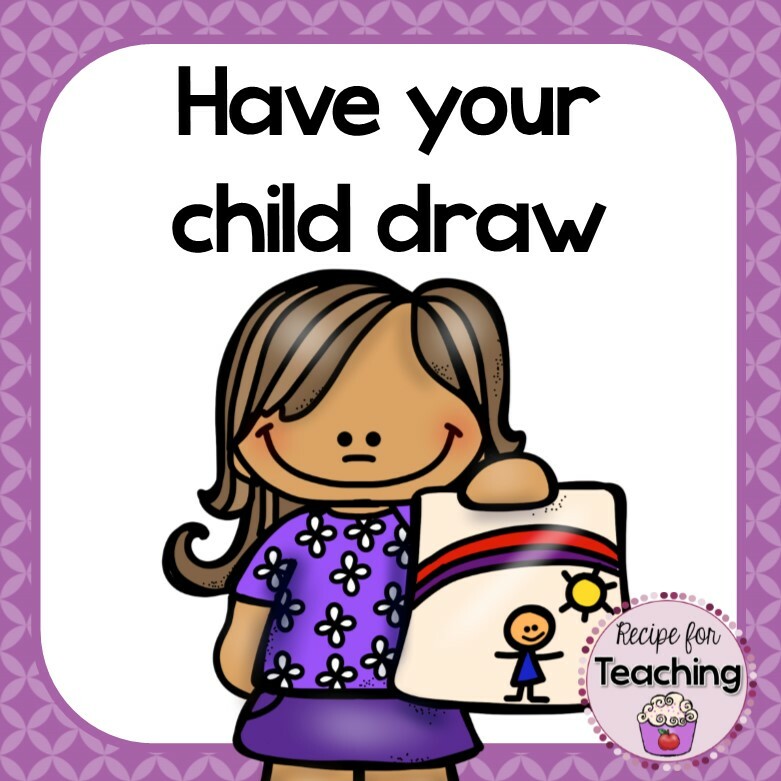 Let them tell you about their drawing and ask them questions about their drawing. You can make it a little more educational by having them draw about a book you read together. Get out those extra cardboard boxes, cereal boxes, toilet paper rolls, glue, scissors, tape, etc. 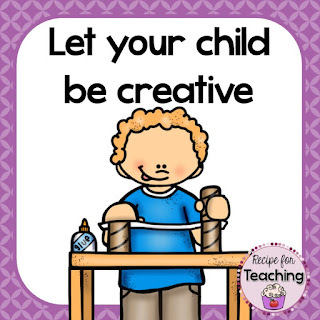 and let your child create something! They don't even realize when they are doing this they are being engineers! If you are familiar with STEM (science, technology, engineering, and math) or STEAM (science, technology, engineering, art, and math), they are using STEM/STEAM components when creating! YOU are your child's first teacher. 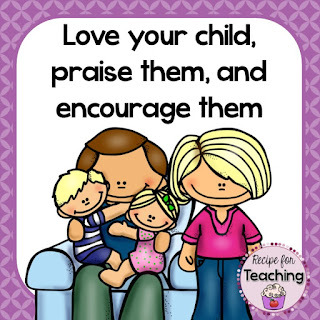 Love them, praise them, and encourage them. Tell your child you love them every single day. 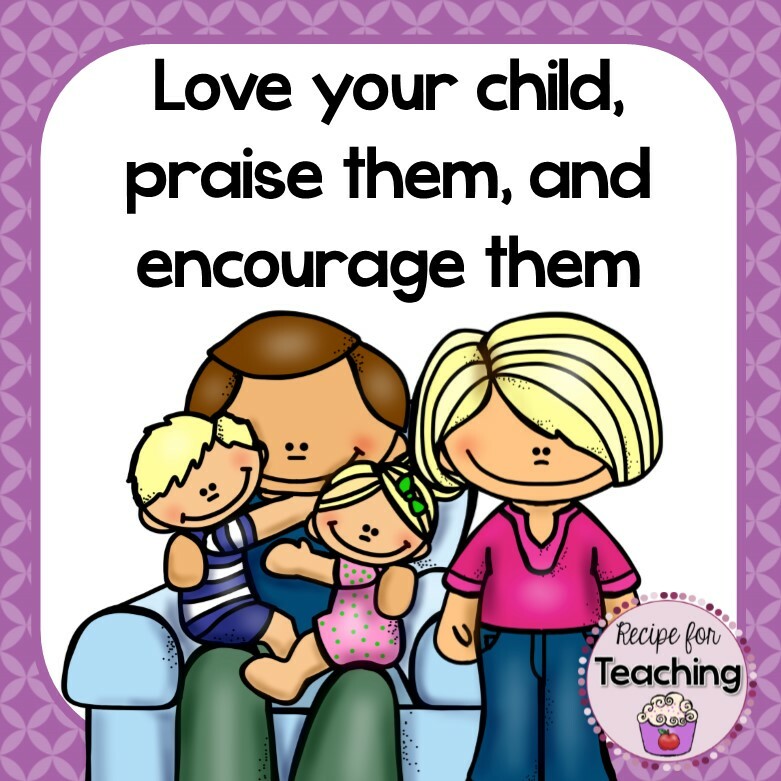 Praise your child when they do something right. 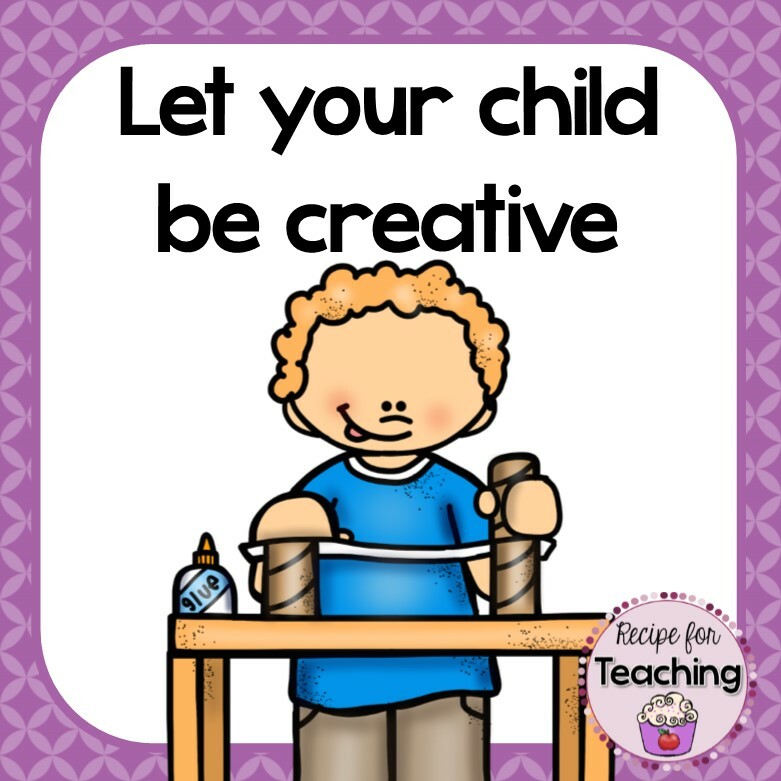 Encourage your child to do and try new things. Remember to make any learning activities you do with your child FUN! You want your child to love learning and school. 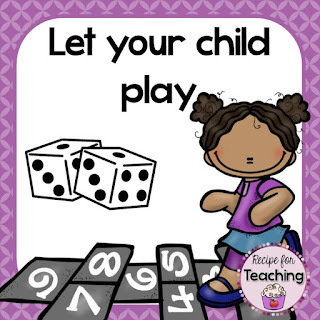 Thank you for teaching your child and being an active participant in your child's education!